Patients and visitors are asked to be mindful of temporary road closures around the Hull Royal Infirmary site this coming Sunday, 18 September, when the 2016 Hull Marathon takes place. Whilst the 26.2 mile race route will not pass directly in front of the hospital, arrangements for nearby road closures and access restrictions, including the full closure of Anlaby Road, may cause some temporary inconvenience to those travelling by car or public transport. 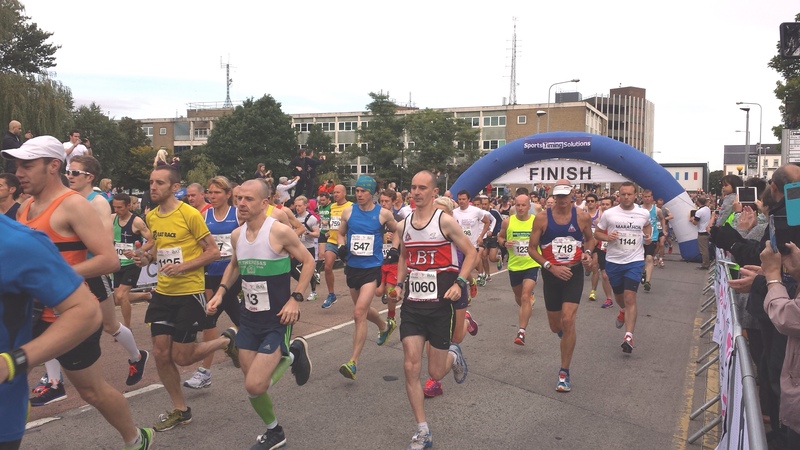 “The Hull Marathon is becoming an increasingly popular event in the city, and we want to ensure that race day is safe and enjoyable for all concerned. “We have been working closely with Yorkshire Ambulance Service and the race organisers to minimise disruption and ensure access to the Hull Royal Infirmary site is maintained throughout the course of the marathon. “Our Emergency Care team has been briefed on the race medical plan to ensure staff are ready to respond should the need arise, and pregnant women who may require urgent access to the Women and Children’s Hospital during this time have also been issued with relevant paperwork. “The race route does not pass the main hospital entrance, so emergency routes on to the hospital site and those leading to our Emergency Department will be kept clear at all times. “Whilst we understand that no one can predict an emergency, where people know they will be travelling to Hull Royal Infirmary, we would recommend they plan ahead and allow sufficient time for their journeys, taking into account road closures in the surrounding area too. The majority of runners are expected to pass around the back of Hull Royal Infirmary between 9:45 and 10:15am, moving from Anlaby Road on to Park Street, Londesborough Street, Argyle Street, then back on to Anlaby Road. Those using the main hospital (Argyle Street) car park may experience some slight inconvenience between the hours of 9am and 11am as the Gladstone Street exit will be closed and all traffic will be required to turn right out of the car park, taking a diversion on to Rawling Way.